That you are looking for organizing your bachelor(ette) party or the one of your friend, you will find what you are looking for among our wide range of boats and nautical activities. 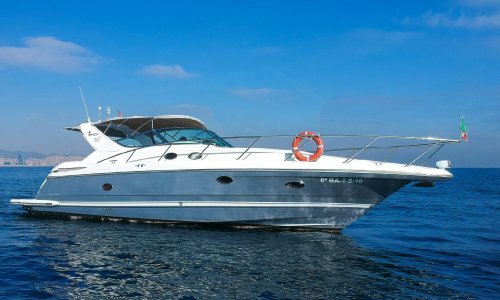 We have the best offers for you to enjoy an unforgettable day on board of one of our boats, motorized or not. If you are looking for emotions, consult our special watersports packs in Barcelona. You are a small group and you want to rent a catamaran to celebrate the bachelor party? No problem. We propose trips with other passengers each weekend from Spring to Autumn. You will be welcomed like kings aboard our catamarans with a maximal capacity up to 80, 100 or 125 passengers. Furthermore, barbecue and a drink aboard are included ! Do not hesitate to consult our availabilities. You rather want to do this trip exclusively, without other passengers ? This is possible, we have the boat that you need to share this wonderful moment privately. Consult our complementary offer of catering, Jet Ski, Banana, music in live, etc. Ask us for a cost estimate without any commitment !! 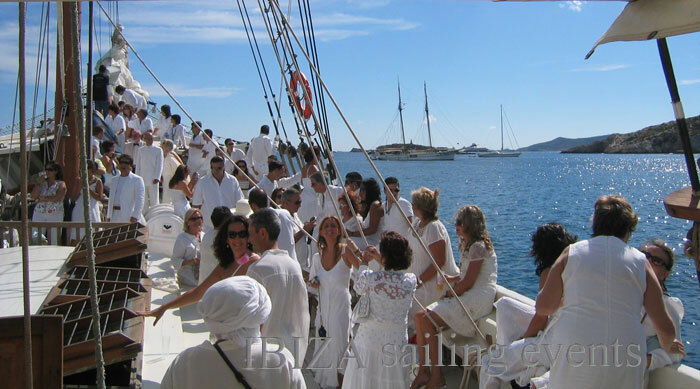 Consult our boats offer and enjoy holidays or events aboard ! We propose you a ride on a spectacular catamaran with a maximal capacity of 22, 28, 36, 80 80, 97 or 125 passengers all along Barcelona. From the sea, you will be able to enjoy the maritime profile of this beautiful city. 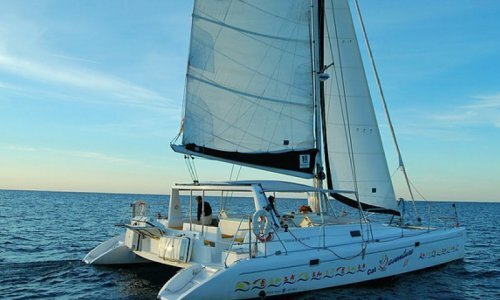 This is the experience of sailing on the Mediterranean sea on board of a catamaran with comfort and security. Weather permitting, possibility of swimming. On board, we can propose you catering, a glass of champagne, wine tastings and a lot of other activities. We propose you different types of rides with a captain on board of this 14-meter luxury motor yacht. Based in Port Vell, it has a 25-knot speed. Renting of this yacht with captain and insurance. Enjoy the sea with your partner, friends or family. From the sea, visit the Skyline of the town with your corporate group. This is the experience of sailing on the Mediterranean sea on a sailboat longer than 11 meters. All that with comfort and security. Daytime capacity of the sailboat is 11 people, plus the captain.